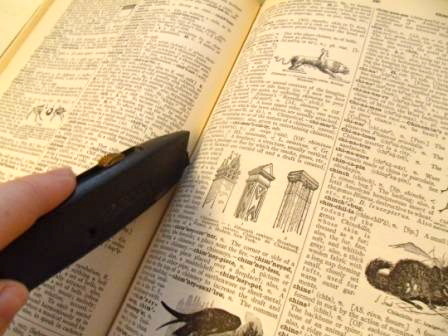 Vintage dictionary art is all over the place lately. There are countless examples online at sites like Pinterest and Etsy, but it’s always seemed like something that would be simple to make versus having to buy. I’ve wanted to try my hand at it for a while now but I had to find the perfect vintage dictionary. 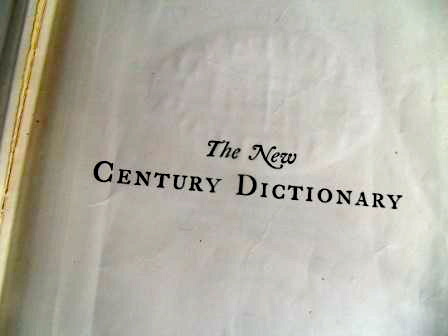 That’s where arc comes in; I found a beautifully aged, large dictionary from 1936 that was under $5! 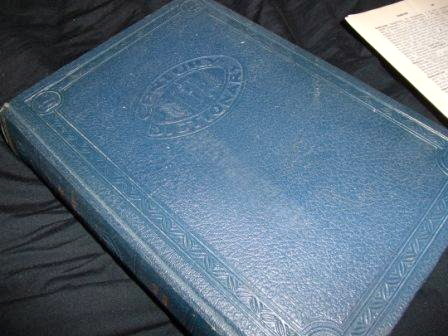 It has great pictures and wonderful sepia-toned edges. Other books I’ll keep an eye out for are old encyclopedias or vintage children’s books with great illustrations—I think both of these would also make great art work. The first step, which felt almost sacrilegious for a book lover like me, was to cut out the pages as neatly as I could. I wanted to cut very close to the book’s spine so that the borders on each side of the page were even. Also, the neater I cut it at first, the less trimming and fixing I had to do later. After I had my pages cut I did some research to find a quote. 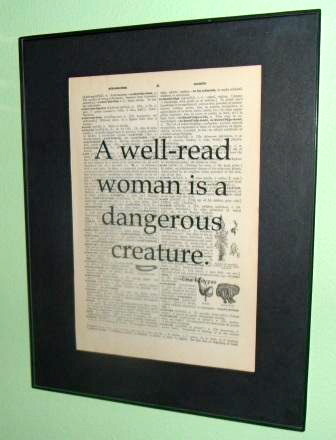 I wanted it to be a quote about books or reading, and something that I wouldn’t mind looking at on my wall for a long time to come. 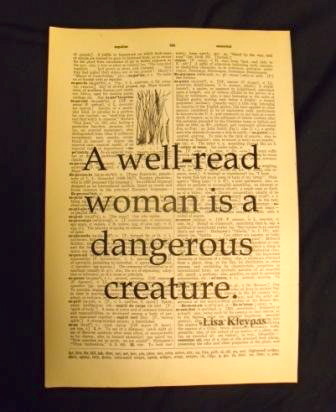 I found a great one from writer, Lisa Kleypas. After experimenting with how to best print on the delicate vintage pages, I finally developed a good system of just barely taping a page onto a regular sheet of printer paper.